Our system of Kali is a style of martial arts developed by Dan Inosanto consisting of many distinct systems of Filipino Martial Arts as handed down to him through dozens of Filipino Martial Arts masters he has trained with over the years. Students will learn empty-handed techniques, single stick, double stick, dagger, stick and dagger and other variations. 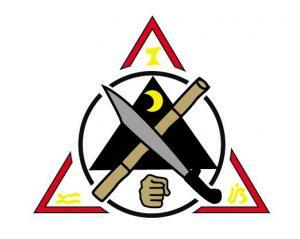 Filipino Martial Arts are considered by many to be one of the most advanced practical blade systems in the world and are now a core component of the the military training of many countries. The thing that makes Kali distinct from most other martial arts, especially other Asian-based weapons systems like Iaido, Kendo, Wushu and European fencing is that Kali teaches the use of a weapon that is practical, effective and lethal today — weapons like knives, sticks, bats, machetes and improvised weapons that one may encounter in today’s streets and self-defence situations; an aspect that makes Kali and Filipino Martial Arts very practical for military, law-enforcement and street-fighting.